The 10 Best Tanning Salons in Nebraska! Whether it’s the dead of winter or you’re trying to avoid the sun’s heat at the next summer barbecue, head to one of the many top-notch tanning salons in Nebraska to work on your golden glow all year round. We’ve rounded up 10 of the best local tanning salons in Nebraska for a perfect tan! Gloss Salon & Day Spa in Omaha offers the ultimate beauty experience all in one place. The salon covers over 6,000 square-feet and there are two levels of pure indulgence to enjoy. From an airbrush tan to a Venetian spray tan, there are a wide variety of options for you to get a beautiful tan. As Lincoln’s largest tanning salon, Max Tan offers a top-notch tanning experience, salon, and exceptional products. Whether you’re just looking to add some color before a big trip, or take your tan to the next level, Max Tan has everything you need to enhance and prolong the life of your tan. Get that healthy California glow right here in Nebraska at California Bronze in Omaha. This tanning talon has everything you need to get a head start on your tan, or keep your color long after your summer vacation. Go Figure Fitness & Tanning Center in Grand Island offers a variety of ways to help you reach your fitness goals—and look good while doing it! Memberships are very affordable and include unlimited tanning at this one-stop shop. Tanning Zone Pioneers is another popular place for Lincoln residents to work on their tan. If you’re stuck in an office or class all day, getting the perfect tan can be difficult. Tanning Zone Pioneers offers flexible packages and hours to accommodate all of your tanning needs. Turning Heads on Blondo is a full-service day spa in Omaha that offers lots of relaxing ways to make you look and feel great. Turn heads with an airbrush tan, or any of the other salon services. If you’re looking to build the perfect color, then Palm Beach Tan in Lincoln is another tanning salon not to miss. Offering the latest tanning systems and cutting edge skincare products, Palm Beach Tan guarantees an incredible tanning experience each and every time. Touch-n-Tan is the first 24-hour tanning salon in Omaha with unlimited tanning packages so you can catch some rays on your own schedule. With state-of-the-art tanning technology, Touch-n-Tan guarantees a seamless process to get that perfect color. Caribbean Tan in Elkhorn is a quaint tanning salon and boutique that offers the latest tanning technology and products in a modern, relaxing environment. With two locations, Caribbean Tan is the perfect place to help you look fabulous all year round. 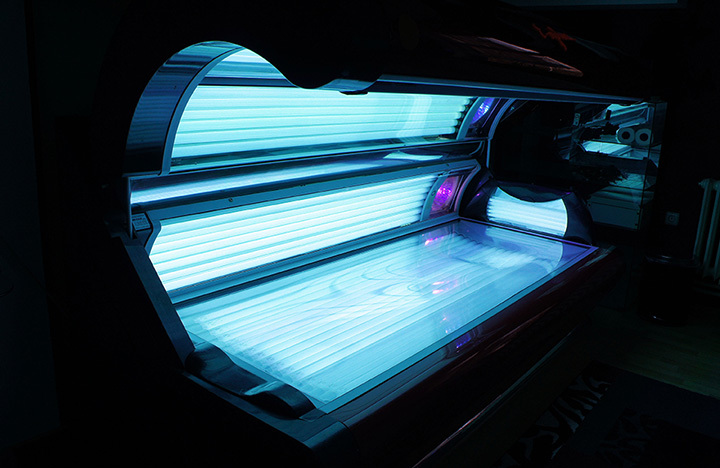 South Beach Tanning Company in Grand Island has expert staff and a wide array of tanning products and equipment to leave you with a stunning even tan you’ll be proud to show off. With flexible packages, you’ll be sure to get a glowing tan without breaking the bank.